The Brooklyn Bridge is the most famous and best-loved bridge in New York City. It was built over the East River in 1802. The total length is 5989 feet and the width of bridge floor is 85 feet. 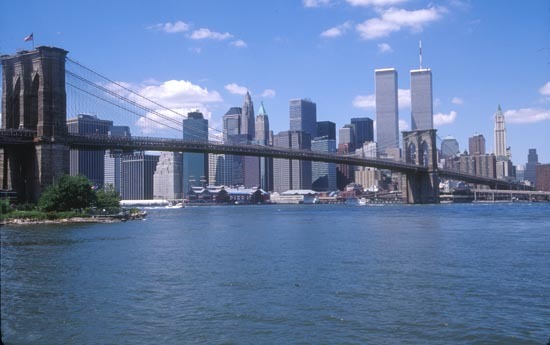 The bridge is a crossing between the city of Brooklyn and lower Manhattan.